Established in Lancashire in 1993, GAP has grown impressively year on year, supplying both the residential and commercial building markets with low maintenance PVC-U building products. GAP’s success is thanks to you, our customers and our loyal committed team who excel in what they do. From Inverness to the Isle of Wight, from Winsford to Watford, we’re pretty sure a GAP depot isn’t far away. We operate an extensive network trade counters across the country, serving thousands of customers on a daily basis. Whether our customers are looking for convenient next day delivery or an express Click & Collect service from any of our fitter friendly trade counters, we have the service, stock and trade prices to impress. We also provide free hot brews, so it’s worth stopping by and seeing why we’re different. We know it’s not always convenient to call in, but if you get chance, you’ll see our impressive trade counters that showcase our stunning range of Rockdoors, Windows, Bi-fold Doors and Rooflines on display. Each of our GAP depots carry a huge range of Homeline uPVC building products including Fascias, Soffits, Gutters, Cladding, Window Trims and Dry Verge. Customers will also have access to many more lines such as FirestoneRubber Cover, Desmapol Liquid Roofing, Tapco Roof Slates, Kat and Korniche Roof Lights and Origin Bi Folding Doors. Here at GAP we manufacture a huge amount of what we sell - almost 65% in fact, from over 500,000 sq-ft of high tech production facilities in the group. Homeline Building Products produce top quality BBA and BSI approved PVC-U rooflines and claddings. We’ve invested huge sums of capital to ensure our state of the art extrusion plant is amongst the most efficient in Europe. We’re particularly proud that our engineers and technicians at Homeline developed the UK’s first and only range of BBA approved recycled Rooflines called ‘Core’. We also manufacture a wide range of door panels, casement windows and patio doors under the Homeframe brand, using the latest state of the art machinery. GAP is the home of Rockdoor and we feel it deserves a special mention. When Rockdoor was created by GAP in 1996, our intention was to create the most secure and thermally efficient door available. 20 years on and almost 1 million doors later, Rockdoor continues to lead the market keeping families safe, secure and warm with the widest range of A++ doors available. From depot managers and depot team members, from accounts to sales, from fabricators to welders, all our team here at GAP (over 1,000 of us) are joined together in the simple goal of providing the best products and services to our customers. 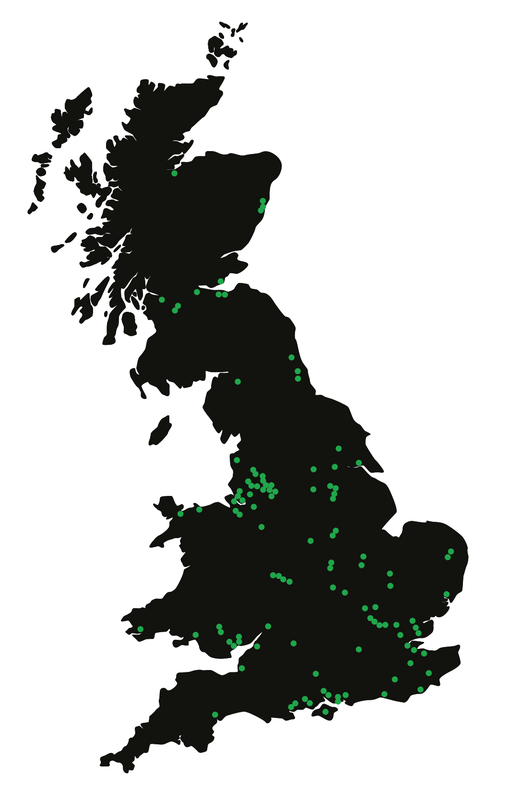 Find your nearest GAP Depot, or feel free to call our helpful team on 0845 313 10 12 or click on the picture below.